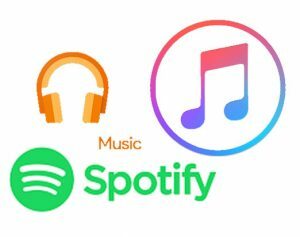 Very interesting article that follows up nicely to a post on where streaming music subscriptions go. Sharky Laguana presents a case for a new revenue sharing/distribution model for musicians and streaming music services – Streaming Music Is Ripping You Off. The root of the problem with the existing model is basing payments purely on the number of streams with no reference to the number of subscribers/fans who are streaming the music. The scenario of 10,000 streams by one subscriber being equal to 10,000 single streams by 10,000 unique subscribers or fans is presented. Logic tells us, as any musician would too, that 10,000 fans is better than one fan who is obsessed and streams your music 24/7. The problem seems to be more of an issue for the streaming services. That one obsessed fan is only paying a single monthly subscription of ten bucks but costing the streaming service the same royalty fees to the musician as the 10,000 fans who are paying upwards of $100,000 in monthly subscription fees. Click fraud is also discussed as another major challenge for streaming services. “Fake” musicians can add songs and albums to streaming services and then just stream these on a loop – presumably with the volume turned off. A couple of accounts streaming 24/7 can generate significant income for these fake musicians. The fix? Subscriber Share. Divide up your monthly subscription fee between the artists that you really listen to. If you pay a $10 subscription and listen equally to 10 different artists, each would get $1 of your monthly fee. Its a compelling argument and a good read.